Are you looking to buy a horse, or take one into your life? You don’t want just any horse, you want the Right Horse for YOU. How can communicating with your prospective new horse partner help you make the best decision possible BEFORE you commit yourself? If you don’t communicate with your prospective new partner before writing that big check, then you could be making a terrible mistake — one that you will struggle with for as long as you own that horse. And that dream you have of competing successfully with your new show horse? If this isn’t the right horse for you, then you can kiss that dream goodbye. You don’t have to make such an important decision all on your own, and you shouldn’t. 1. Schedule an appointment with Val after you’ve done some research and have chose several likely candidates. 2. Val can help you identify which (if any) of the prospective horses will be most suited for what you want them to do. 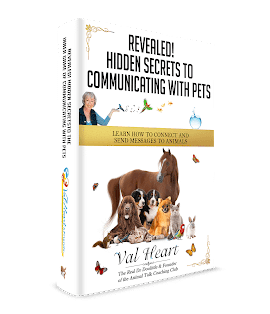 She can find out straight from the horse’s mouth how they feel, what they enjoy doing, what hasn’t work well for them in the past, if they are in pain, if they’ve been drugged… important information that only they will know and be able to tell you. 3. If all goes well and your new horse is right for you, and you are right for them, then this session will also go a long way toward your bonding. It will deepen your understanding of each other. And it will lessen the impact of the transition — both on you and on your horse — because they will know what to expect, and you will know how to make things easier for them.